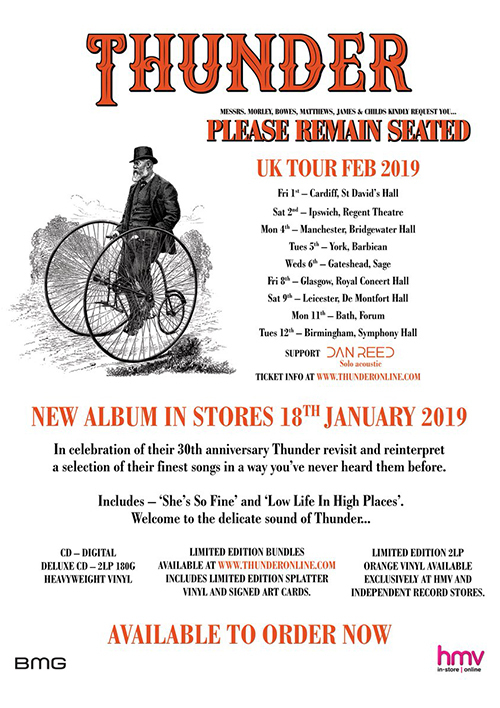 I am truly honored to be supporting ‘THUNDER’ February 2019 for their album release tour entitled ‘Please Remain Seated’! I will be performing solo acoustic and these dates will be my only public solo shows in 2019. It will be great to see all those who are able to attend and please help spread the word if you plan on attending 🙂 Thank you!